Sea, the gaming and e-commerce company holding the first major U.S. IPO from a Southeast Asian tech firm, had a bumpy start to life on the NYSE after closing the day up around eight percent on its list price of $15. The company raised $884 million from its listing, but it could surpass $1 billion if all allotted shares are purchased by underwriters. The share — listed as ‘SE’ — ended the day solid despite some initial uncertainties. Trading opened at $16.25, a small pop, before the price dropped below the $15 mark over the next couple of hours. It rallied in the afternoon and to close on $16.20, up 8.4 percent. The firm, formerly known as Garena, is Southeast Asia’s highest valued tech company behind only $6-billion-valued Uber rival Grab. It is unprofitable but it hopes to turn losses into profit as Southeast Asia’s internet access continues to grow and the region’s 600 million consumers become more savvy about spending online. As we wrote back in September when Sea first went public with its IPO plan, 90 percent of its revenue comes from its Garena gaming business which distributes games for PC and mobile in Southeast Asia. There it leans heavily on major investor Tencent, which owned around 40 percent of Sea prior to the listing with plans to purchase at least $100 million in newly issued stock. The games business has helped Sea grow its revenue from $160.8 million in 2014 to $345.7 million in 2016, but losses during the period widened from $90.9 million to $225 million as the firm expanded into e-commerce and payments to grab a slice of Southeast Asia’s fast growing internet economy. E-commerce in the region is tipped to grow from $5.5 billion in 2015 to $87.8 billion in 2025, according to a report co-authored by Google, and that explains why Sea introduced Shopee — an eBay like buyer-seller app — just over a year ago. Sea continues to subsidize Shopee to help it battle longer running rivals like Alibaba-owned Lazada, and that accounts for a large chunk of its ballooning costs. In the longer term, Sea believes Shopee can become a profitable business on its own back. It also operates AirPay, a digital payment service, in three countries with plans to expand into more over time. This IPO is a big test of how public markets treat emerging global regions, where big tech firms have picked up millions of users but are waiting for markets to develop before they can become profitable. Sea’s ambition to go public has been known for some time and this listing was much anticipated by many in the industry. Southeast Asia has produced six unicorns, with a number of companies valued in the upper hundreds of millions, but exits via acquisition remain rare. A clutch of tech CEO and founders in Southeast Asia will be keen to see how Sea performs before potentially taking their own companies down the same route of a U.S. public listing. You can’t draw too many conclusions from day one, but it was from the disaster of the last Southeast Asian U.S. tech IPO. Three years ago, Malaysian payment firm MOL plummeted over 30 percent on its Nasdaq debut. It subsequently delisted some 18 months later to end a rocky tenure. 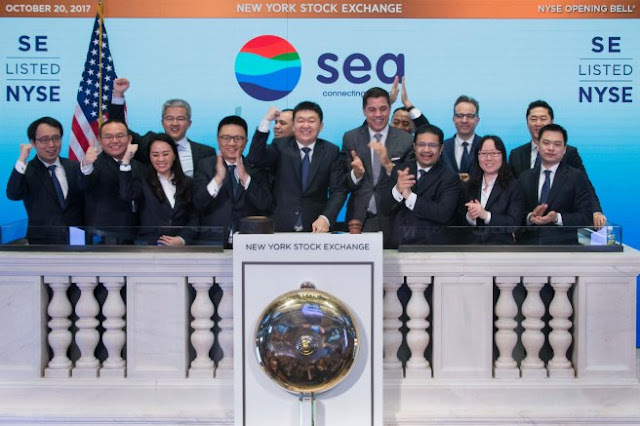 0 Response to "Southeast Asia gaming and e-commerce firm Sea ends first day on NYSE up 8%"